The Bill of Lading is your actual contract between you and your moving company. The mover is required by law to prepare a Bill of Lading for every move it transports. 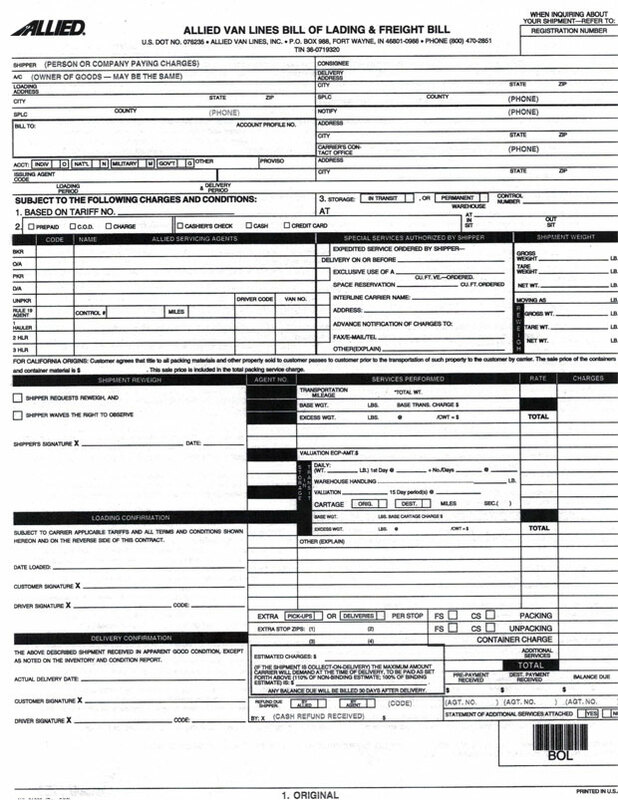 The driver will give you this document at the time of loading your shipment or before. Before you sign the Bill of Lading, understand it.